BerBrand was born in 1995 to produce buttons and accessories for the fashion industry, in high quality pioneering and classic materials. It is among the first in the sector to localise the mother-of-pearl manufacturing in the place of raw material collection. It contributed to the creation of Ecocrest, an international certification system for the supply chain traceability. Use of renewable energy and adoption of technologies and measures for energy saving: plants and processes, energy performance improvement; self-production and purchasing of energy from renewable sources (hydroelectric, solar, wind, geothermal…). Adoption of tools and documents for sustainability steering, management, measurement and communication. Social dialogue and stakeholder engage- ment (management for stakeholders, responsible supply chain management, HR engagement, corporate volunteering…). Core business related corporate activities, in support of communities (solidarity, international cooperation, educational initiatives…). Adoption of technologies and measures aimed to reducing water use in the production processes (increased processes efficiency reuse, recycle…) and to waste water improvement*. All supply chain steps in the production of these Fabrics/Accessories are traceable and a traceabi- lity label is associated to the product. Adoption of technologies and measures of sustainable procurement not related to the production processes (use of social coopera- tives, green and solidary procurement: corporate fleet, paper use reduction, recycled paper…). Fabrics/accessories made from recycled fibers or materials (pre or post consumer) or second life materials. The raw materials used are collected, produced, transformed and commercialized avoiding cruel practices against animals (eg. mulesing, peace silk, etc.) and/or with methods and criteria tended to protect and preserve biological diversity. BerBrand is “WCA” (Workplace Conditions Assessments) certified. Every day, we are bombarded with advertising about environmentally friendly goods and services. But how many really are green, and how many are just pretending? 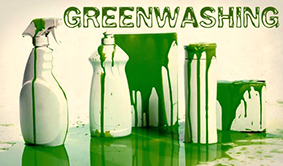 Help us to stop Greenwashing! In BerBrand facilities, included our subcontractors. To what extent can the the source of the Berbrand button be traced per different quality? BerBrand has a 100% verticalised and traceable supply chain and has been certified and has won several prizes for this reason. Every different material can be traced directly back to the source. Are all Berbrand Mother of Pearl qualities equally sustainable? BerBrand’s mother-of-pearl (Pinctada maxima) has achived the highest standards since the supply chain management is totally vertical and zero waste. Other materials are sourced in respect of the environment, but due to the widespread origin it is not possible to certify every single on. In this section we give transparence to the life cycle of different materials and it is constantly updated when improvents occurs. From which different parts of the world are you sourcing raw materials? We source from almost the entire extention of the Pacific Ocean, from Chile to Vietnam, from the Red Sea and from the Indian Ocean. Do you have images concerning your production, iinformation on the origin of the recycled material and what types of processing are involved to create the buttons? -	BerBrand is officially classified as an Italian innovative company amongst few others, these involves production processes that in most cases are patent protected or patent pending, an NDA is required, visits to our facilities are allowed only to authorized personnel or independent auditors. Can you provide us with some numbers on the achievements you have realized by improving on sustainability? What are the steps you are taking as a company to improve upon waste reduction? Are you recycling any waste? Would we be able to get information on the origin of the recycled material and what types of processing are involved to create the buttons? Are you using any solar, wind or other renewable energy in your company? We adhere to a consortium that guarantees us the use of biomasses and in minor part solar energy, A2A. What are the challenges you are facing on sustainability, and where do you still have room to improve? Do you have certain short- and long term goals as a company concerning sustainability? To what extent is the paint or ink you use for the dyeing or printing of buttons bio-degradable, are there any recycled certifications like GRS that could be provided with these buttons since some certificates have oeko-tex conformity? – Technical data sheet are attached, our recycled buttons are in conformity with Oeko Tex 100 and since our standards are higer we release the Oeko tex certification only when required.